These are not my feet. The stepdancer pictured here is far more advanced than I am! 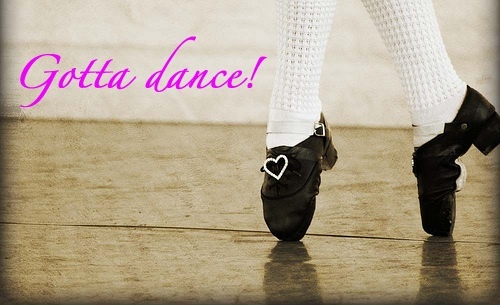 But I began taking lessons at the Lyons Academy of Irish Dance back in February, and I love it. The popularity of Irish Dance has exploded over the past fifteen years. Of course, the Irish have been dancing jigs for centuries. But in the mid-1990s, Michael Flatley brought global attention to the art form with his mesmerizing sell-out performances of Riverdance and Lord of the Dance. American kids flocked to stepdancing classes, finding a fun alternative to gymnastics or ballet. And Irish Dance has its own vibrant subculture, with young students dancing at Celtic fairs all over Europe and North America. Still, it was just a fun thing to do on Wednesday nights. Never in my wildest dreams did I think that we would actually compete at a feis (Irish dance competition) this year. But that’s what happened. I blame it on our teacher, dance champion Meredith Lyons, because she is an amazing teacher. 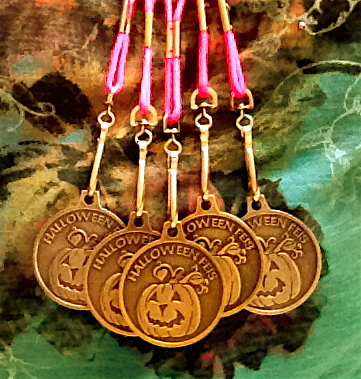 She encouraged us to go for the gold… and in fact, I came home from the Long Beach Halloween Feis with three gold medals and two silvers! (Full disclosure: there were only a dozen people in the adult beginners category.) I had so much fun. 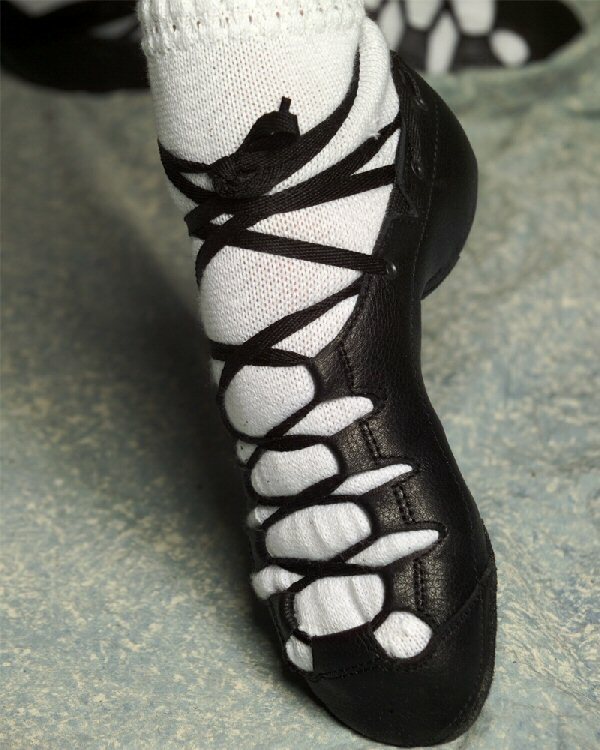 Irish dancers use two kinds of shoes: soft shoes (or ghillies) and hard shoes. There are four traditional soft shoe dances: the reel, light jig, slip jig, and single jig. The difference between the dances has to do with the time signature of the music. Reels are in 4/4 time, but light and single jigs are in 6/8, and slip jigs are in 9/8. There are also a variety of hard shoe dances: the hornpipe (syncopated 2/4 or 4/4), as well as the treble jig, the treble reel and traditional set dances. So if you need a lift, I recommend Irish Dance. It’s great exercise and it’s guaranteed to improve your mood. After all, it’s hard not to grin when you’re dancing a jig. Just stepdance your cares away! But I warn you: it’s addictive. Having lived in some of the most beautiful places in the world, I never get tired of returning to Los Angeles. L.A. has so much natural beauty! The people are friendly. The weather is beautiful. There is access to all of the resources of a major metropolis. There’s a good reason why millions of people want to live here. Of course, there are disadvantages, too. The city sprawls out over more than 500 square miles, which means that it can take a lot of time to get from here to there. There is smog (although the air is usually crystal clear at the beach) and there is traffic (although it is generally predictable and therefore avoidable, if you know the short cuts). But in general, I find that Los Angeles is misunderstood. So often, people will tell me: “I was in L.A. once. It took us forever to get out of the airport and there was so much traffic on the freeway. Then we went to some conference center in a sketchy part of town. It was terrible. I could never live there.” When I ask them if they visited the South Bay, or the foothills, or the art museums, or the sports stadiums, or the university campuses, or the Hollywood Bowl, or any of the beaches, they look at me blankly and mumble that they were in Malibu for thirty minutes but they didn’t actually go to the beach. Uh-huh. Yeah, you haven’t really been to L.A. When planning a tip to L.A., imagine that you are visiting a wild and foreign landscape! 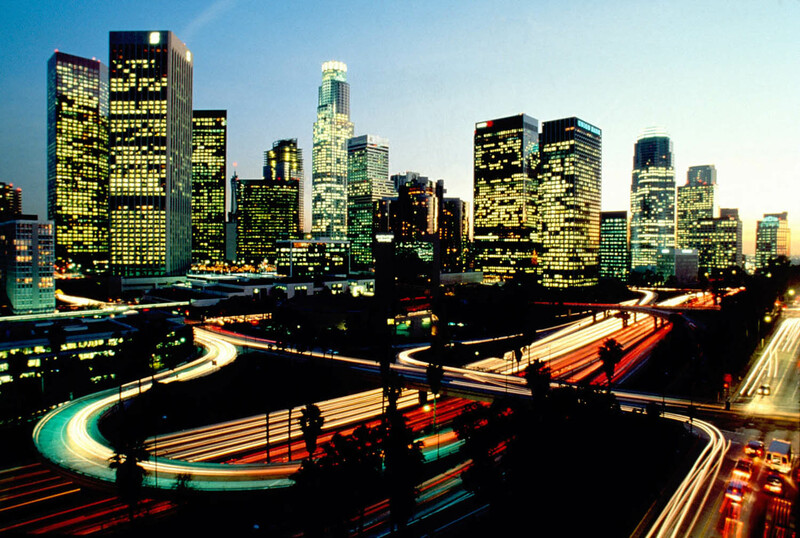 Los Angeles is not like other cities, so don’t expect it to feel familiar. Be kind to the natives, even if you think their customs are a little weird — try to get in a mentality where there is an exaggerated emphasis on cars, movies, and beach volleyball. Treat the freeways with respect. A freeway is a wild and powerful animal, but it can really help you… as long as you obey its laws and use its energy to your own advantage. If you do get lost, ask someone for directions. Angelenos love to talk about freeways. We talk about the traffic with the same enthusiasm that other people talk about the weather. I love to be spontaneous! But as a native of L.A., I know that this city requires a lot of planning. If you want to cover more than 90 miles in a day (not unusual here), and still arrive at the right place at the right time, you have to think ahead. Get online before you plan your day: the Internet will help you map your route, buy your tickets, and choose where you want to have lunch before you get there. Also plan what you will do in the car. Road rage rarely happens to people who are having good conversations, listening to their favorite music, or enjoying an audio book. Please, please, please do not leave L.A. without at least putting your toes in the Pacific Ocean. Go hiking, go kayaking, go parasailing. 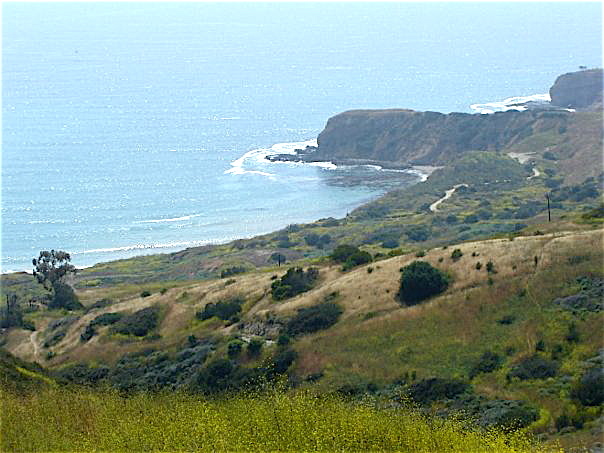 If you like cycling, enjoy the 25-mile bike path from the trendy Santa Monica Pier to the more remote beauty of Palos Verdes. 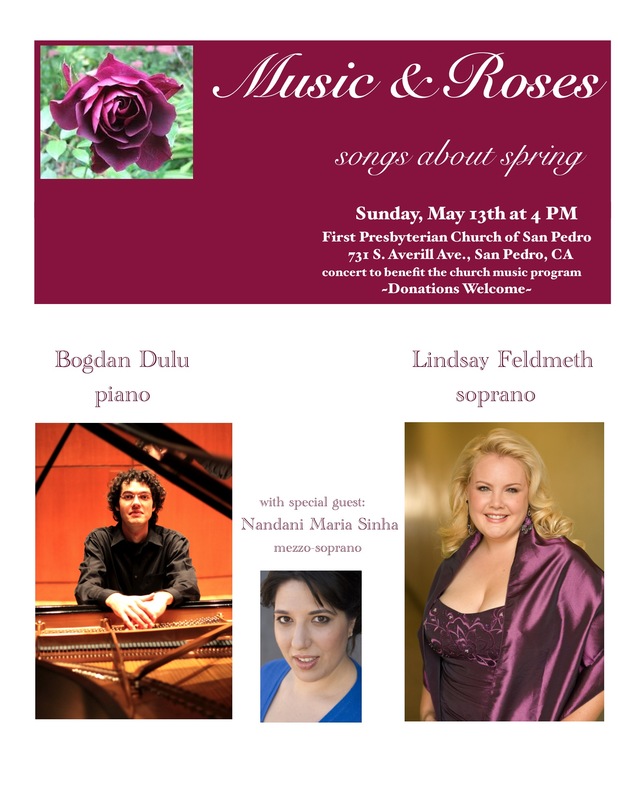 It seems that L.A. is on the verge of becoming one of the world capitals of classical music. Under the musical leadership of James Conlon and Placido Domingo, L.A. Opera consistently attracts world class artists for stellar productions. Gustavo Dudamel is pouring his dynamic energy into the L.A. Philharmonic. The L.A. Master Chorale is utterly fantastic. And the Hollywood Bowl continues to offer classical concerts to audiences of 18,000! Of course, I don’t spend all my time in L.A. If you’ve read this blog before, you know that I am totally in love with Europe. I love European music, European culture, European history, European food, European architecture! I feel very much at home there. And that’s why I’m often on a plane to London, Paris or Vienna. But at the same time… I’m pretty stoked about spending Christmas with my family in the city of angels. Wishing you all a very merry Christmas from L.A.!